As a proven, independent research organization based in Milwaukee, we partner with our patients and sponsors to develop cutting-edge treatments while building personal relationships, one patient at a time. With more than 32 investigators in nine specialty areas, Allegiance Research Specialists provides our partners and patients with a reliable, high-quality research experience. Learn more about our current studies. Receive quality, personalized care while helping future generations. For more than 15 years, Allegiance Research Specialists has delivered high-quality results to the medical community. The secret to our success? Our team’s unwavering focus on building lasting relationships with our patients and sponsors. Dr. Idarraga grew up in Marshfield Wisconsin and studied at the University Of Wisconsin, Milwaukee. 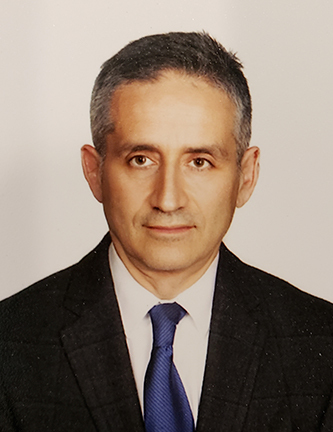 He graduated from the Medical College of Wisconsin in 1989 and completed a residency in Chicago at Michael Reese Hospital, in affiliation with the University of Chicago and the University of Illinois. Dr. Idarraga and Dr. Kim formed Allegiance Internal Medicine Specialists in 2003. When he left Covenant Medical Group after 11 years of practice, he was a member of the Covenant Medical Group Quality Assurance Committee. In 2005 Dr. Idarraga was appointed chair of the Professional Peer Review Committee for St. Joseph’s Hospital and Elmbrook Memorial Hospital. Currently he is chair of Professional Peer Review for Ascension Hospitals Milwaukee, overseeing quality improvement. He was the team internist for the Milwaukee Bucks from 2001-2015 NBA seasons and was a member of the NBA Physicians Association during those years. Dr. Idarraga is an Assistant Clinical Professor of Medicine, involved in teaching medical residents and medical students. He is an investigator in clinical trials emphasizing cardiovascular risk management and gastrointestinal disorders. Dr. Idarraga is married and has two sons. He is passionate about aviation and is an instrument-rated pilot. He also enjoys biking and will often times bike to work. Dr. Idarraga is dedicated to introducing his sons to outdoor activities, teaching them about our lakes and parks. Dr. Andrew Kim grew up in California and received his undergraduate degree from the University of San Francisco. After graduating from the Medical College of Wisconsin in 1989, he completed his residency in Internal Medicine at the Medical College of Wisconsin Affiliated Hospitals in 1992. As a staff physician, he joined Hardwood Medical Associates/Covenant Medical Group. For five years he served on the Board of Directors at this 75-doctor, multi-specialty clinic with his last two years as the Vice Chairman. In 2003 Dr. Kim and Dr. Samuel Idarraga established Allegiance Internal Medicine Specialists to provide highly personalized and individualized medical care, one person at a time. As a Fellow of the American College of Physicians and Assistant Clinical Professor at the Medical College of Wisconsin, he has been an active member of the core teaching faculty at Ascension Wheaton Franciscan – St. Joseph’s hospital since 1992. Dr. Kim has also been named the best teacher of the academic faculty for several consecutive years. In addition to providing weekly scheduled lectures to medical students, resident physicians work under Dr. Kim’s supervision at our office daily. He is involved with the Graduate Medical Education and the Program Evaluation Committees at Ascension Wheaton Franciscan – St. Joseph’s hospital. Dr. Kim has been a principal investigator for multiple clinical trials, including topics such as cardiovascular medicine, metabolism, lipids, obesity, inflammatory and irritable bowel diseases and sleep disorders. Milwaukee Magazine has cited Dr. Kim as one of Milwaukee’s top internists annually since it started featuring such an issue. 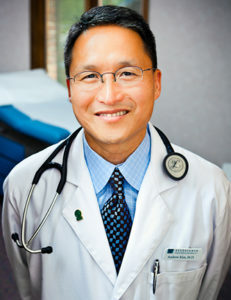 With a firm belief in providing unbiased, high quality, independent medical care to greater southeastern area patients, Dr. Kim has been the Medical Director and Chairman of the Board of an Independent Practice Association, Wisconsin Independent Practice Association previously Progressive Physician Network since its inception in 2008. Dr. Kim is married with two young-adult children, enjoys playing soccer and gardening, as well as traveling with his family. He is also proud to say that he has completed two marathons, during his fifth decade. We partner with like-minded research organizations and independent providers to bring high-quality, approved treatments to the general population.